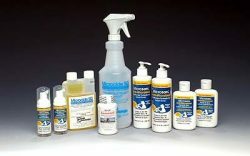 Microsan Rx® is a health care professional anti-microbial surgical scrub that is effective in killing 99.999% of susceptible organisms in 30 seconds or less. 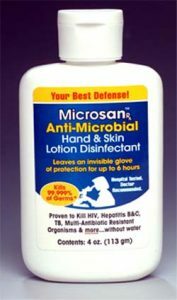 Its high potency and fast action make Microsan Rx® ideal for use in areas where frequent hand washing is important. 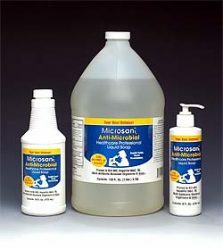 Microsan Rx® Health Care Professional Surgical Scrub is a liquid soap that not only disinfects, but also leaves the skin feeling clean and moisturized. Use of Microsan Rx® by healthcare workers significantly reduces the spread of nosocomial infections such as MRSA and VRE. 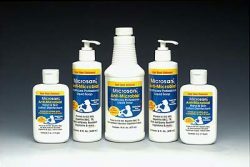 Simply wash the hands with 1-2 pumps of Microsan Rx® Healthcare Professional Surgical Scrub. Rinse and dry the hands. An high potency hand and body surgical scrub. Contains no Triclosan or alcohol. Rapid and substantive 99.999% kill power effective against variety of microorganisms. Base ingredients formulated to prevent moisture loss from skin cells, softens skin and protects the skin from the drying effects of antimicrobial agents. 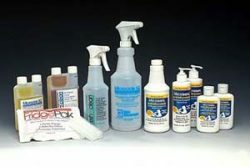 Continued use provides residual antimicrobial protection.